When I first heard about ScreamRide, I thought it was a bit like Roller Coaster Tycoon but reimagined for a new generation. Armed with only that knowledge, I was less than eager for ScreamRide, having never really enjoyed the park management games. However, once I booted it up and started playing, I found an experience that not only WASN’T Roller Coaster Tycoon, but was an incredible amount of fun. No ticket booths or public utilities to worry about here, ScreamRide is a game all about roller coasters…. or should I say, roller coasters and destroying buildings with them. ScreamRide isn’t just about building roller coasters. 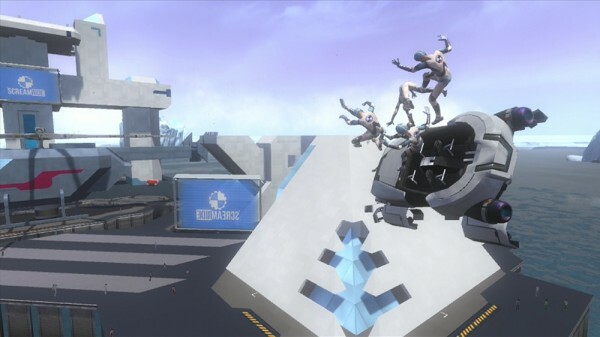 In fact, players are able to choose between three distinct jobs within the futuristic setting; Engineer, ScreamRider and Demolition Expert. These jobs are all completely different to one another and in that way it feels like ScreamRide is three different games in one. Engineer Mode has you building tracks to meet certain requirements, often with very limited resources. Your job is to build the best coaster you can from the pieces you are given, almost like a LEGO set with only the picture on the box to guide you. The game gives you slight hints and tips as to whether or not your coaster works as planned, or sends its patrons hurtling into the side of a building. Hint systems in games can often come across as patronising or demeaning, so I was a little taken aback when one popped up on my screen, however all of the ones I saw more pointed me to which specific piece(s) of my track were giving me grief so that I could fix them specifically. 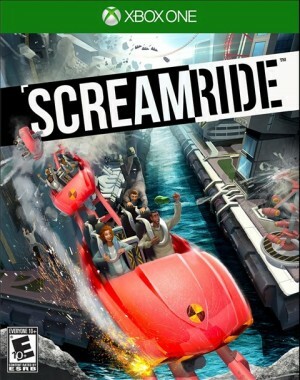 ScreamRider mode puts you in the driver’s seat… literally. You take control of the wild and insane coasters as they go around bends, up steep inclines and upside-down. The goal is to not let the passengers fall off of the track, which sounds easy right? In practice it is a lot more challenging and fun than it seems, having to reposition yourself back on the track and to ensure you aren’t using your boost at a time that will careen you off the track and into the ocean. The last game mode, Demolition Expert has almost nothing to do with roller coasters. 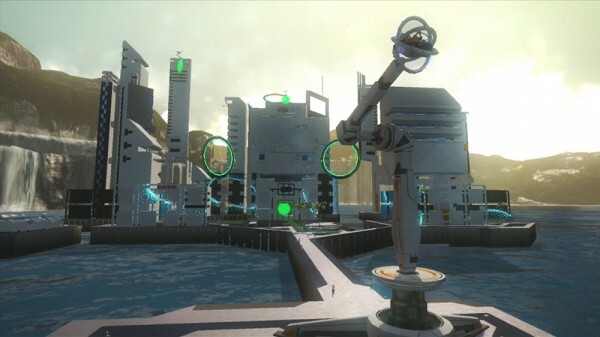 In this mode, you are tasked with launching spherical cabins filled with people at the roller coasters and surrounding buildings in order to wreck the absolute crap out of them. 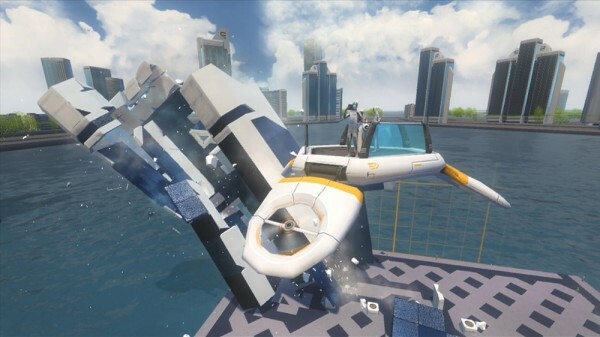 Think Angry Birds but in 3d, with awesome destruction physics and you have a bit of an idea what Demolition Expert mode is all about. The most destruction you cause, the more points you gain, and everything is connected in one way or another so a perfectly angled shot will cause a chain reaction for an insane amount of points. For those of you who love to build and create without limitations, ScreamRide also includes a pretty awesome sandbox mode where you can create your own coasters, attractions and destructible buildings all from the ground up. The sandbox mode can seem a bit overwhelming at first glance, but the tools are really intuitive and in no time you will be creating and sharing your awesome new creations online. 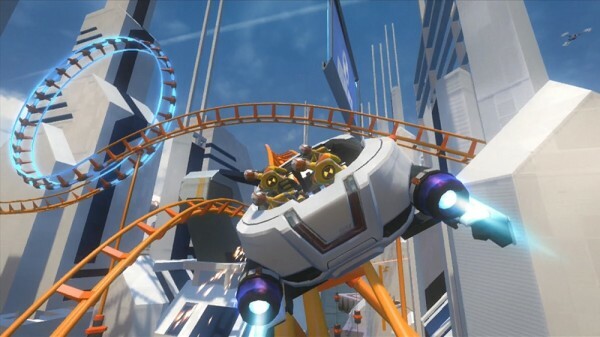 Speaking of online, ScreamRide doesn’t feature any multiplayer mode. For many of you I know this will be a huge disappointment, but on the flip side – it does contain leaderboards so you can track your skills against other players from around the globe, as well as the ability to share and download user created maps. 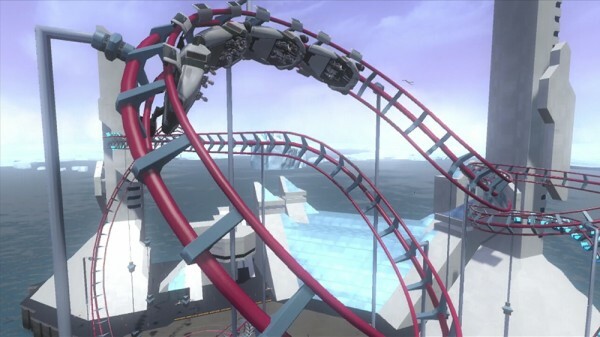 ScreamRide is set is a futuristic wonderland where everything is grey or chrome and looks like it is coming at you straight out of Interstellar or Star Wars. While a futuristic setting normally leads itself to a lot of extra flash and detail, this is the type of game where super high-end graphics aren’t necessary and the developers knew this. Opting instead to scale back and make room for the physics engine, a decision that I believe has paid off nicely for the game as a whole. The audio is very similar in this regard, most of the sounds you will hear are the riders screaming in excitement (or is it fear?) and the sounds of buildings collapsing. Well that’s not actually entirely true, when you are running through the coasters as a ScreamRider, you will hear the constant almost incessant computerised voice telling you how well you are doing. It gets downright annoying after the first few missions and by the end you’d wish you were just playing on mute. One thing I noticed during play was that some of the bigger levels suffered from really noticeable frame rate issues. This was particularly the case when causing destruction and toppling buildings, and it really made it hard to enjoy these sections to their full extent. I didn’t have the greatest of expectations when heading into ScreamRide, but my misconceptions were immediately vaporised and replaced with high octane fun. Building coasters, racing through them and launching yourself into giant buildings has never been so exciting, and I think I can say that ScreamRide is the most fun I have had with my Xbox One in a long time.